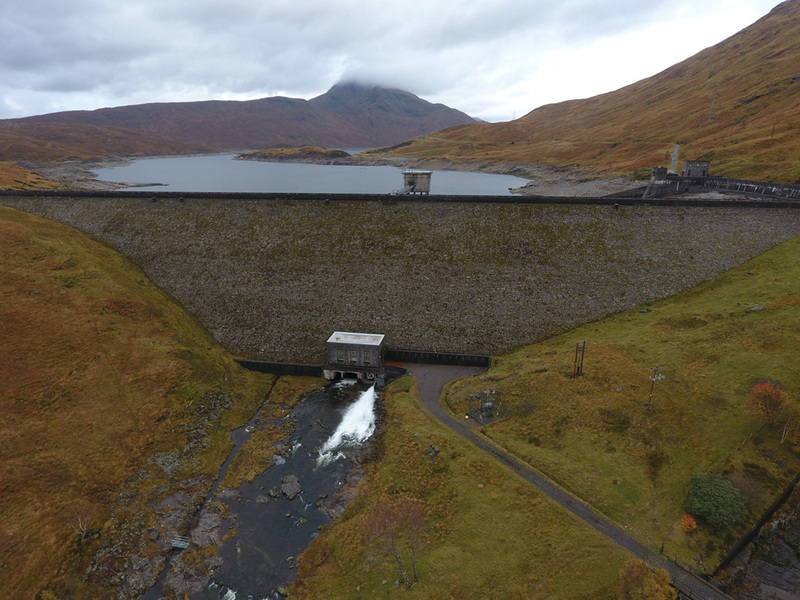 The Rivers and Lochs Institute (RLI), University of the Highlands and Islands - Inverness College, leads an AMBER case study on assessment of ecosystem restoration needs arising from the presence and operation of hydroelectric dams on the Garry River, a tributary of the Ness river system. The assessment will be used to inform the decision-making process to mitigate for the impacts observed. 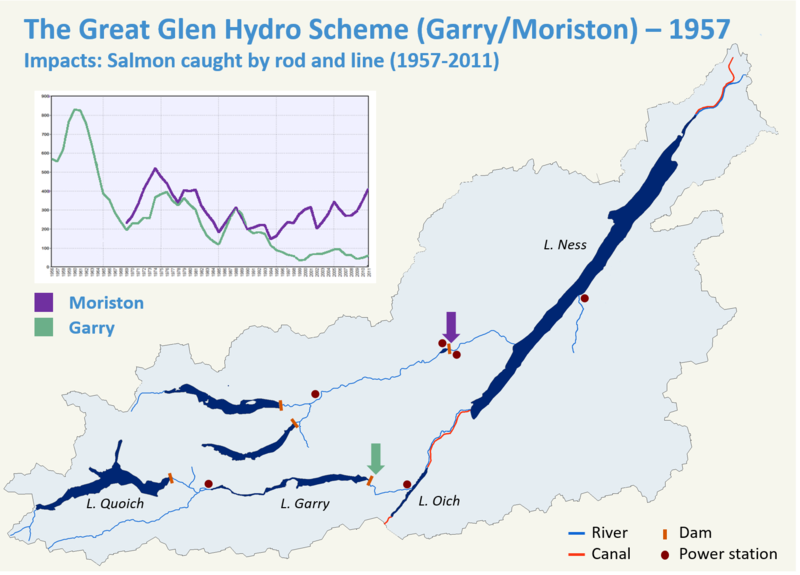 The case study includes a comparison of the Garry to the Moriston River and an assessment of downstream barriers affecting the migration of Garry salmon out to sea. 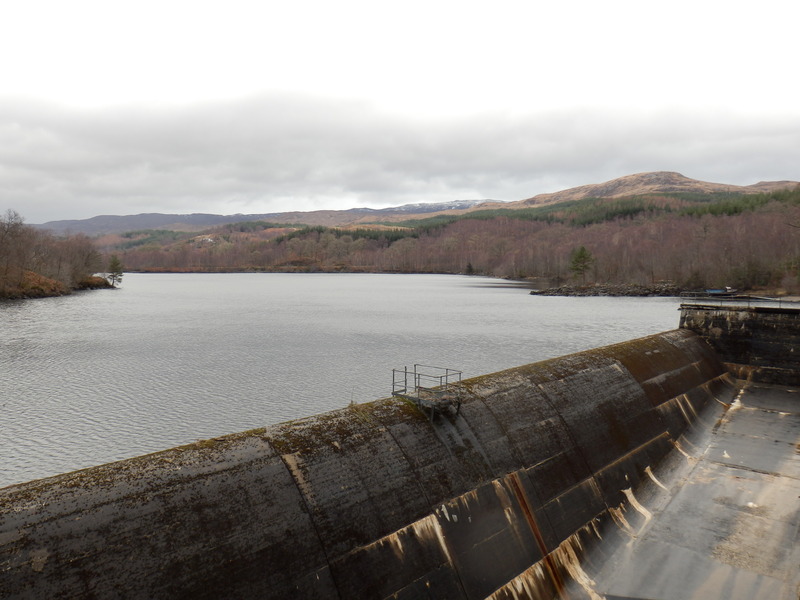 The Garry and Moriston were developed for hydropower in the 1950s, with two dams on the former and three on the latter. Quoich Dam, on the upper Garry, is the largest rockfill dam in Scotland and is impassable for migratory fish, while Garry Dam, in the lower catchment, has a Borland lift for fish passage, as do both Moriston dams. 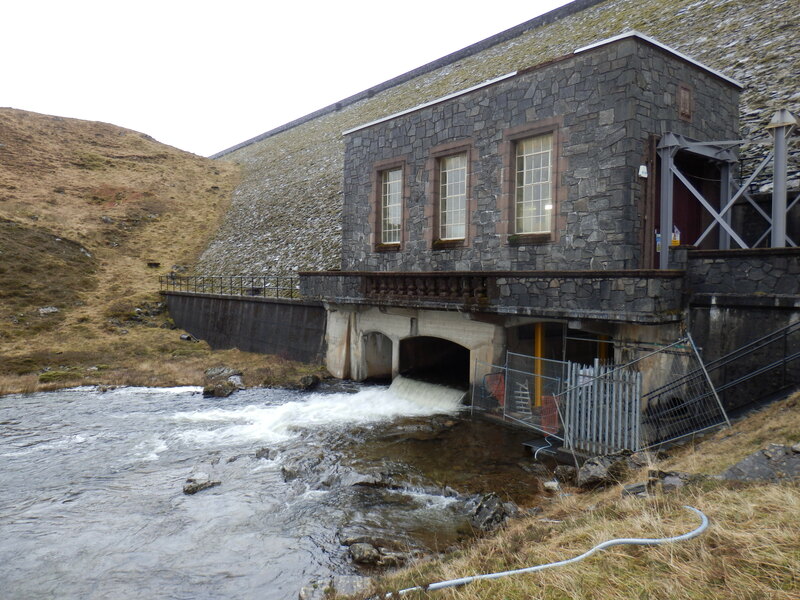 Hydroelectric facilities on both rivers are operated by Scottish and Southern Electricity (SSE). Adult salmon numbers ascending to the Upper Garry have declined over 10-fold since the 1950s. To mitigate this, the Upper Garry Salmon Restoration Project (UGSRP), a partnership between the Marine Harvest, Ness District Salmon Fishery Board (NDSFB) and RLI run a supportive breeding, supplemental stocking programme. 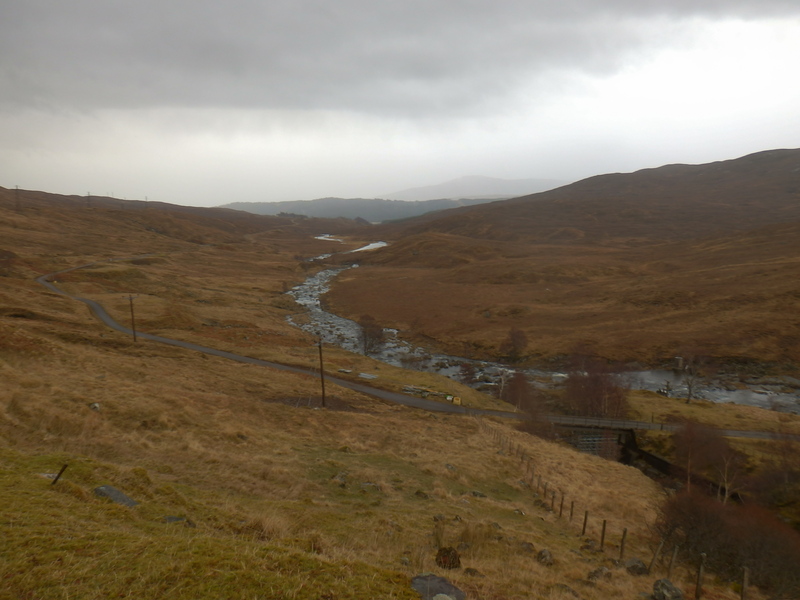 In contrast, a fish pass in the Dundreggan Dam made Moriston salmon runs possible, and are stable or increasing. The case study, a partnership with SSE and NDSFB, will put the UGSRP, and other initiatives, into AMBER’s comprehensive biological-socio-economic barrier assessment and ecosystem restoration framework to advance understanding of biodiversity impacts, mitigation needs and optimal management solutions. Increased smolt mortality from downstream barriers and hydrological alterations (e.g. two water diversion weirs associated with the Caledonian canal). Mitigation of barrier impacts on and recovery of the upper Garry salmon stock is important because it delivers larger numbers of salmon for the most valuable spring fishery in the lower Ness system; angling and salmon fishing-related activities are a key economic sector in the area. However, barrier biodiversity impacts may also prove to bear upon other diadromous species (e.g. eel and lamprey), and freshwater resident species such as Arctic char and brown trout, the latter supporting a locally important historical angling fishery in the upper Garry catchment. NDSFB, an organization of fisheries owners, and the SSE, an organization that manages hydro power facilities, both have a statutory responsibility for managing salmon fisheries and are stakeholders and partners in this case study. The third stakeholder, the Scottish Environmental Protection Agency (SEPA), is responsible for monitoring and restoring water quality under the European Water Framework Directive. 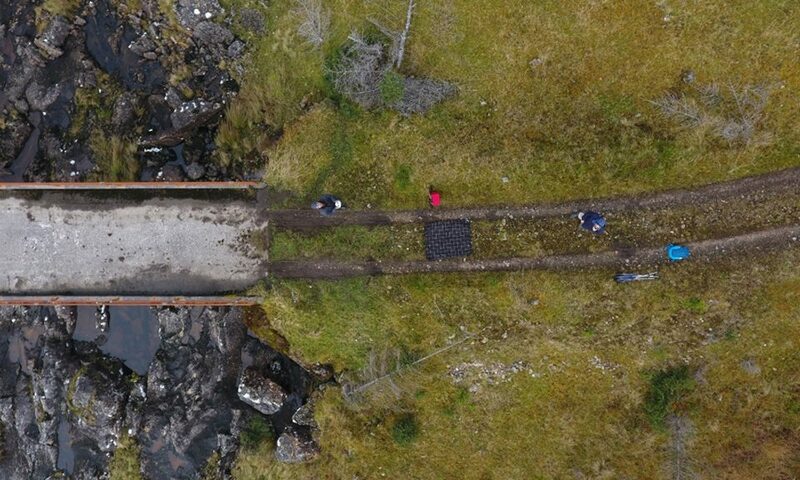 They have a similar public engagement and citizen science outlook to the AMBER project, and are currently promoting the River Obstacles citizen science app to gather useful information about existing dams and barriers for an atlas of barriers in Scotland. RLI is working with SEPA to develop and extend public engagement opportunities such as combining use of the River Obstacles App with AMBER’s Barrier Tracker App. These activities will initially focus on the case study but will include broader application at the national level. Scottish Canals is a further stakeholder and will be engaged in relation to the impacts on salmon due to water diversion weirs in the Caledonian Canal. Tools developed and refined as part of AMBER WP2 (“Development and application of tools for assessing the impact of stream barriers, and for measuring stream connectivity”) will be used in the case study to gather data to determine the impact of dams on salmon and other biodiversity elements. This will be evaluated using the AMBER adaptive management framework developed in WP3 (“Restoring Stream Connectivity through Adaptive Barrier Management: Benefits & Trade-offs”) to identify mitigation options and optimal pathways for achieving mitigation. Biodiversity data, from both vertebrate and invertebrate species, will be gathered in two ways. First, historical accounts of biodiversity will be identified and evaluated. 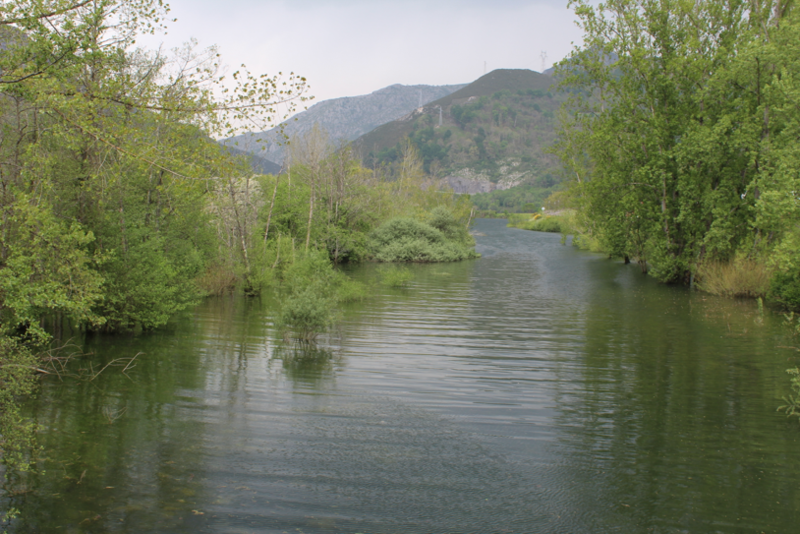 Second, a new targeted assessment of biodiversity will be carried out centered on the environmental (eDNA) analysis of water samples at relevant sites, using high-throughput next generation sequencing technology (Illumina MySeq). The distribution and relative abundance of key species will be assessed, mapped and used to establish the impacts of barriers on local biodiversity. 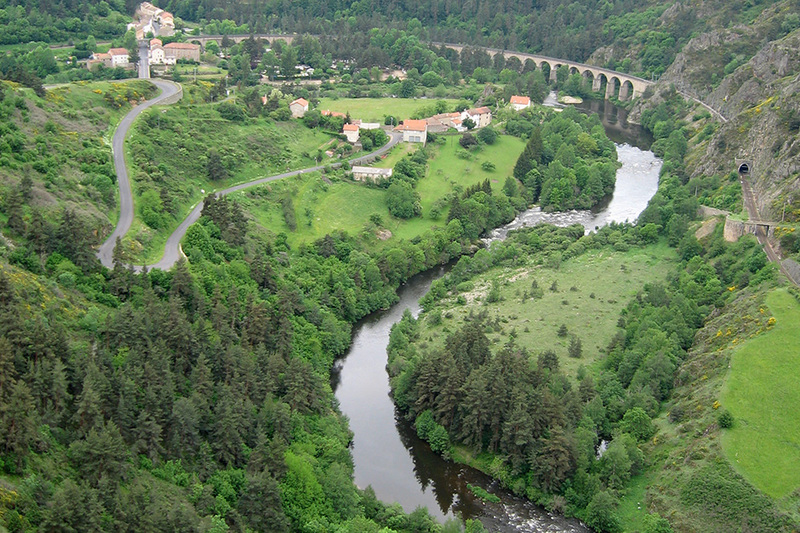 This information will be complemented by a more limited programme of sampling using traditional surveying methodologies such as electrofishing and kick sampling of invertebrates to validate presence of the species identified by eDNA and connect to historical data sets where present. Sampling site selection will be based on a detailed habitat assessment, derived from processing image data generated through a drone survey of the Kingey and Gearr Garry. The drone survey will be conducted by AMBER partners at Durham University (Martyn Lucas’s lab). 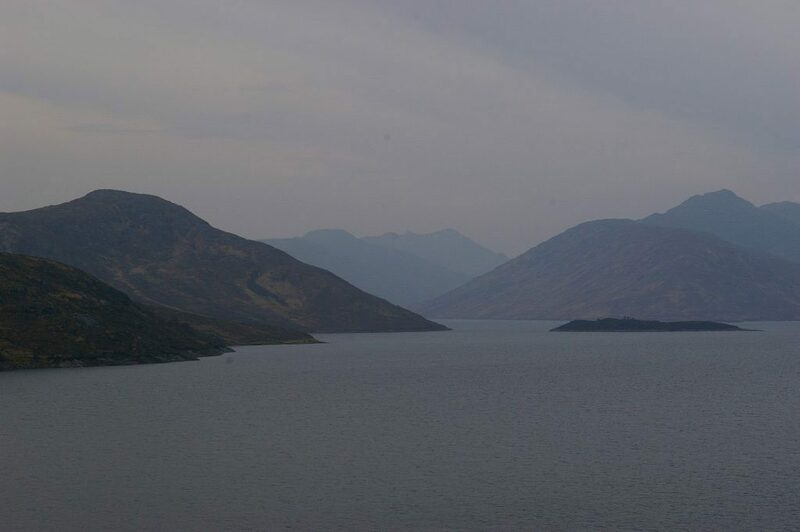 Other sites will be sampled that bear relevance to smolt migration, in particular the canal between Loch Oich and Loch Ness, and between Loch Ness and the river Ness. Sampling will also provide information on the physical habitat changes that have occurred. The above will be combined with studies of water quality, temperature, composition and flow to identify physical differences between sites, which might help explain differences in species presence / abundance across the catchment. Aspects requiring further information will be identified along with potential habitat impact mitigation options within the context of AMBER’s adaptive management framework. Recommendations will be formulated for further assessment, monitoring and practical solutions to change barrier management to restore and improve the health, producitivity and resilience of the upper Garry and broader River Ness ecosystem. These may include options such as changing the way water is released from Quoich Dam, introduction of spawning gravels, recommendations for improving the supportive breeding and salmon stocking programme and management of water diversion into canals during the salmon smolt run. The merit of these recommendations and strategies for their implementation will take into account socio-economic and socioecological considerations, which will be investigated by gathering information from anglers, the local population and relevant organisations and trusts operating in the area. A major issue in this respect will be the relative socio-economic importance of salmon fishing and hydro power to the local economy-- a key to evaluating the costs and benefits of mitigation actions relative to the potential improvements to local biodiversity.